At our Tracks through Grantham project get-together in October we heard about a runaway ironstone train that was in collision at Barkston Junction in 1946. We also spent some time exploring the High Dyke Branch, enjoying stories of life 'Up the Branch', and hearing about the precautions taken to work the heavy ironstone trains safely on that switchback route, known as 'the Alps'. There was the occasional runaway on the branch, more often than not safely managed by the High Dyke signalmen, though one or two runaways ended in a pileup. I was therefore interested to see some recent news from 'down under'. 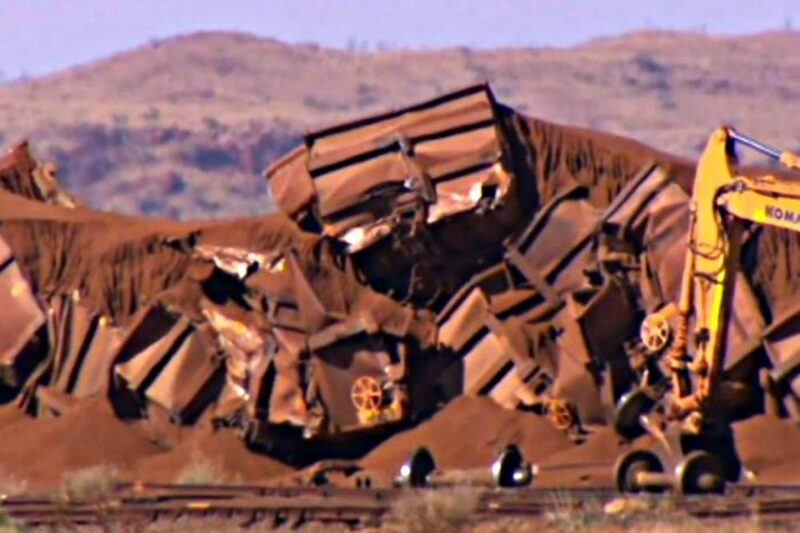 The Australians have staged he world's most spectacular iron ore train wreck, 1.5 km of piled up locomotives, wagons and iron ore and ripped up track - though, fortunately, without casualties. It took place on 5th November on their equivalent of the High Dyke Branch - only, being Oz, this iron ore line is 180 miles long, not 5¾! Follow the links here and herefor more. Apparently it's affected the price of iron ore on the global market because the line will be out of action for a week or so.